Did you watch the Emmys last night? The 2017 Emmys was exciting. All the stars gathered on the red carpet and then on stage. It was truly a wonderful time. Are you going to watch the post show? In the meantime, read this recap. Did you check out the fashion and styles? Who was the best dressed in your opinion? Some say Zoe Kravitz was the most fashionable. Apparently, risque is in and safe is out. To begin with, glitz and glamor obviously filled the concert hall. Along with excitement, there was also a lot of humor in the room. However, Jimmy Fallon was noticeably absent. Still, there was so much comedy to behold. The Emmys celebrate TV at its best. It is important to acknowledge the contributions of writers, actors, directors, producers and the crew. Making great television is a concerted effort. The 69th PrimeTime Emmy collected talent like bottle caps. Did you see the opening montage? Stephen Colbert began the night singing and dancing like he was on a Broadway musical. There were so many highlights of the show. What did you like the best? Maybe, you enjoyed every minute of it. Was this the best award show or what? My favorite moment was the coming together of TV rivals James Corden and Seth Meyers. I also enjoyed the Stephen Colbert and Jimmy Kimmel drinking segment. They were “sore” losers. Again, where was Jimmy Fallon? How amazing would it be to get every last one of them in the same room at the same time? More emphasis should be placed on the red carpet and after party. 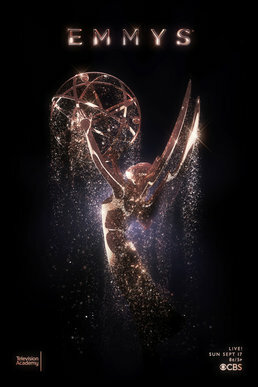 The Emmys should be shortened to make way for the red carpet and post show. Anyway, the presenters did a fantastic job. HBO, ABC, Netflix and Hulu were big winners. John Lithgow received the first award. Veep and Atlanta won multiple times. Sterling K. Brown won for This Is Us. Plus, Elisabeth Moss took home a statute for Handmaid's Tale. Overall, it was Handmaid's Tale's night. It is unfortunate that TV's number one show was ineligible for nomination. In fact, no Game of Thrones' cast members were in attendance. Who was your favorite winner? Were your favorite shows nominated? To wrap it up, next year will be even more exciting. Do you watch enough TV? Nowadays, it is impossible to watch too much TV. So don't feel guilty about binge-watching. You have so many options. You can literally binge-watch seasons upon seasons of your favorite TV shows. With Netflix, Amazon, and good old fashioned NBC, you can't go wrong. Oh yeah, don't forget about ABC, HBO, Fox, and Starz. You may get creative and choose Hulu from time to time too. Whatever your preferences, always choose the best in entertainment because life is too short to watch crap. Luckily, TV is changing for the better. With all these changes, new things popup all the time. People like new stuff. This is natural.You want a new car, don't you? Fall is right around the corner. And that means new TV shows are upon us. This article provides a list of new TV shows. In total, there are 20. Chime in your comments at the end. Enjoy! What TV shows are you looking forward to seeing the most? 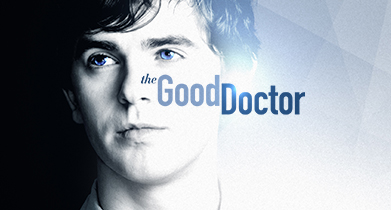 I want to see the Good Doctor and Star Trek: Discovery the most. These two shows will probably receive the highest ratings. I'm also interested in The Orville and Ghosted. Some of these shows I listed won't make it to the second season though. You know great TV is all about the ratings. That's why you've gotta make your numbers count. The good news is all these TV shows have a good chance at renewal. At the end of the day, all you can ask for is a fighting chance.